Swim Lessons University > Swim Lessons Co.
Child-Centered, yet Progressive Swim Instruction System - Scientifically Designed with children in mind! 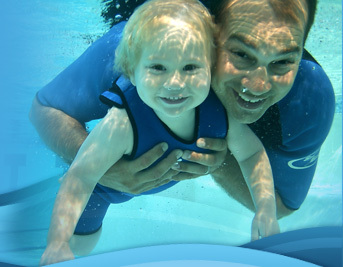 The Swim Lessons Company is a nationally acclaimed, award-winning swim school in Columbia, South Carolina. With convenient locations throughout the midlands, there's no reason why your child shouldn't have the opportunity to learn in our child-centered, but progressive system--designed to make children safer ( Safer Kids) when in and around the water. We offer four scientifically designed courses that are divided further into 10 different versions to make all classes age appropriate. The Swim Lessons Company's founder and president is Jim Reiser . Jim has been training swim teachers since 1989 and teaching swimming since 1983. A former competitive coach, Jim led Team Carolina to three consecutive state titles and coached numerous nationally ranked swimmers before resigning his full attention to The Swim Lessons Company. Jim has taken his years of experience in teaching swimming and water safety to create the Swim Lessons University Training System with products and videos available on this website. This system of video instruction for parents and swim teachers receives rave reviews by experts around the world, who have nicknamed Jim as "The Swim Professor!" What is Swim Lessons University?